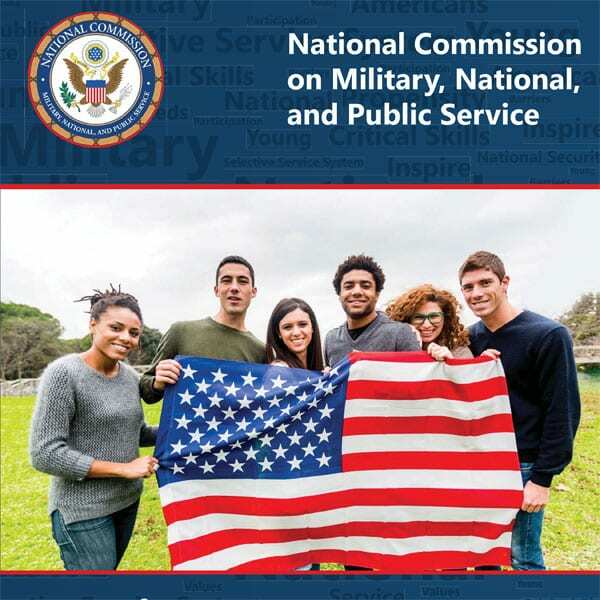 National Commission on Military, National, and Public Service. In a recent report entitled Where Are America’s Volunteers: A Look at America’s Widespread Decline in Volunteering in Cities and States, researchers Robert T. Grimm and Nathan Dietz found that despite experiencing historic highs in the amount of charitable donations and the number of volunteer hours contributed to nonprofits, the country is simultaneously experiencing a two-decade low in the percentage of Americans that volunteer or donate to charity. In an opinion piece written for The Hill, Myung J. Lee and Marc A. Ott, executive directors of Cities of Service and ICMA respectively, see this as surprising, given that voter participation is higher than ever. The 2018 midterms proved to be a monumental year, with more than 100 million citizens voting—the highest voter participation rate in US history in 50 years. Younger Americans and suburban and rural voters were critical to the uptick, but these were also the same constituents to see noticeable declines in volunteer engagement. Since volunteering is just one of many forms of civic engagement, the authors argue that similar strategies to bring out reluctant voters can be used to engage citizens in volunteerism. In order to increase volunteer rates throughout the country, Lee and Ott suggest organizing a “call to service” that consists of three components. The first component involves “showing people they matter.” Individuals typically cite feeling as if their votes don’t matter, that both political parties are equally bad, or that political leadership doesn’t value their voices as reasons for not voting. Lee and Ott argue that volunteerism faces similar hurdles to engagement. Since volunteering requires sacrificing free time, people want to be assured that their time will be used for meaningful activities that show tangible impact. Tulsa, Oklahoma’s Urban Data Pioneers program is a great example of a volunteer experience that leverages residents unique skills for outsized impact. Teams of city staff, residents, and nonprofit organizations are trained in data analysis and use those skills to assess public issues and provide insight to city decision-makers. Volunteers gain valuable skills and make connections with city officials, which could lead to long-term engagement. So far, 120 volunteers have analyzed issues such as blight, street repairs, and traffic crashes. The second component of a call to service involves “knowing what matters” to potential volunteers. Lee and Ott posit that the increase in young voters was in part due to Parkland driving an inclusive campaign that spoke to a common experience with gun violence regardless of whether someone lived in suburbia or urban cities. Similarly, organizations are encouraged to find what resonates with communities to increase volunteer rates. For instance, in El Paso, Texas, a community garden went unused despite city investment. The city discovered lack of buy-in from residents was the issue. Working with AmeriCorps members, the city was able to gain resident input and commitment to the program. Multi-stakeholder involvement from residents, schools, universities, and community organizations led to increased ownership of the garden project. Its success has led to a new city project called the Garden Grant Program, which provides funding for resident-led garden programs throughout the city. Social capital, which is generated by positive interactions between individuals, is closely related to how, and how often, individuals engage in civic and social affairs. Social capital networks give rise to group norms that can facilitate action, cooperation, trust, and reciprocity with others—norms that lead to positive ties among individuals and groups and stimulate more pro-civic actions. Communities rich in social capital tend to produce greater pro-civic attitudes, including trust and reciprocity in others and subsequently a greater desire to be active in community affairs. The Cities of Service Love Your Block program is a great example of this ripple effect. The Urban Institute found that participants felt their efforts produced tangible benefits such as improved safety and community ownership of public spaces. Moreover, the connections made between residents and city leaders served as a stronger impetus for collective action—providing a combination of social cohesion and social capital. Community groups were motivated to leverage their social capital to initiate new neighborhood projects after the program ended. In January, Google announced an expansion of its fellowship program in which technologists spend three to six months with nonprofits needing concentrated tech support. Operation Nehemiah has shifted its model from one-day construction projects benefiting individuals to long-term projects that support nonprofits and churches. Microvolunteering has emerged as a new way to provide meaningful, episodic volunteer opportunities for those pressed for time. Communities like those in Omaha and Baltimore are creating online platforms to make locating volunteering opportunities easier. The Shared Harvest Fund is coupling the act of volunteering with student loan repayment.